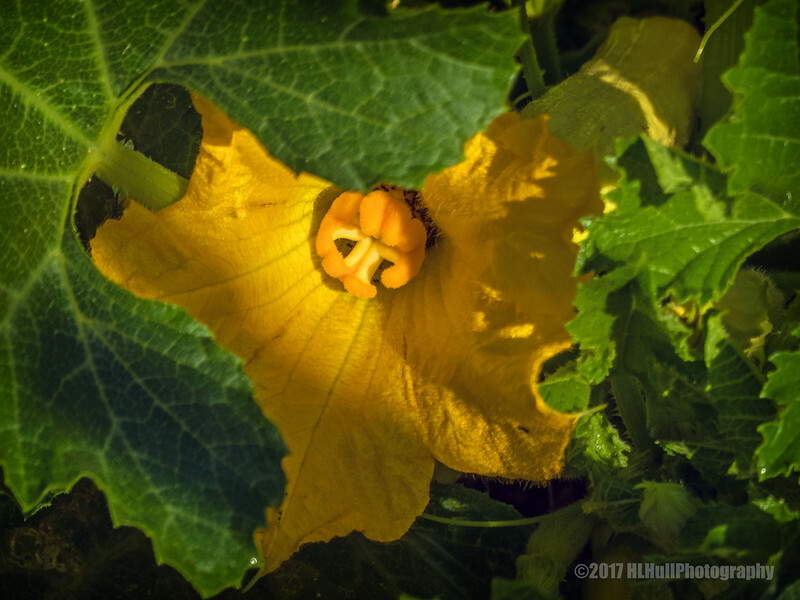 Looks like a nice summer squash growing back there, still with its flower. Nice view. Awesome shot - nice subtle shadows!